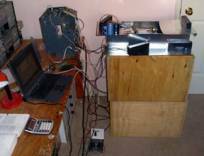 Atmospheric Orgone energy and weather conditions are compared using the To-T apparatus, the Orgone field meter, a vacuum capacitor and a Geiger Mueller counter. 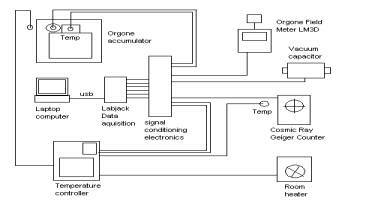 A correlation between the observed weather conditions and the test instruments is generally observed. In addition, the pulsatory nature of the cosmic radiation is discovered with an average period of 2.4 hours. The observation of this pulsation at two locations reveals the west –east movement of the pulsation with a mean speed of 4.1km/hr. In the Cancer Biopathy, Wilhelm Reich describes several devices that are responsive to atmospheric orgone energy1. Reich’s orgone accumulator can be observed to change its internal temperature depending on the weather conditions. Reich proposed that the thermal energy observed in the accumulator was a result of the accumulation of a non-electromagnetic energy present in the atmosphere. Reich claimed to observe this same energy phenomena using a number of other methods. These included electrically excited plate electrodes in the air and in vacuum tubes. Optical methods were also employed for visual verification. Reich also observed a visible pulsation over the surface of a lake that moved from west to east2. This report investigates the behavior of several measurement devices described by Wilhelm Reich as being responsive to atmospheric Orgone energy, including: a 1 fold Orgone accumulator, the Orgone Field Meter, a dual plate vacuum tube and a Geiger Muller counter. In addition, basic meteorological data such as barometric pressure, relative humidity, cloud cover, ion count and outside temperature are compared. 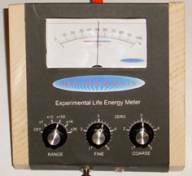 The Orgone field meter is a setup using a high frequency electric oscillator connected to a series of metal plates through a light bulb. The bulb was found to luminate in the presence of living things such as fish and plants. Vacuum tubes were described by Reich to be responsive to atmospheric conditions3. The Geiger Mueller counter4 was shown by Reich to change its counting rates in the presence of highly charged orgonotic environments. For this report, all of these devices were monitored under controlled conditions to determine if a relationship with the atmospheric conditions indeed exists. 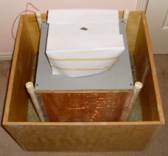 The apparatus is shown below and consists of a 1 cubic foot 1 fold accumulator constructed from galvanized iron as the inner box. A ½ inch layer of rock wool surrounds the iron inside box. Finally, a ¾ inch plywood box surrounds the other two layers. A hole in the wood box and insulation layer at the top of the accumulator is provided for a temperature monitoring tube made from cardboard. An electronic temperature probe (AD580) is inserted into the center of the tubeand surrounded by 3" of rock wool insulation around and above the cylinder. The entire accumulator is surrounded by a 1" air gap and this gap is surrounded by 3" of rock wool. A copper coil is located within the air space for heat control but is not used in the current experiment. The entire device is surrounded by a ¾" wooden enclosure. 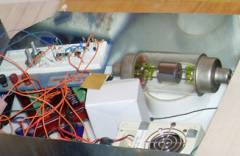 A second temperature probe is located in a cardboard cylinder (not shown) within the inner air space of the insulated chamber and at the same level as the accumulator probe. The temperature difference between the accumulator probe and the probe within the air space is To-T. A third temperature probe is located on top of the outer insulated wood box within a galvanized and grounded metal enclosure and is recorded as ambient temperature. This enclosure houses the Orgone Field Meter (Heliognosis LM3D), the dual plate vacuum tube and the Geiger counter. 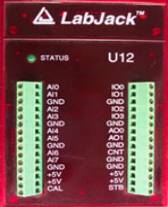 Also inside this enclosure is the signal conditioning electronics and the data acquisition system (Labjack U12). A laptop computer records all the data every minute in 24 hour periods from 9pm to 9pm. A precision temperature controller regulates the room temperature to 0.6 degrees Celsius using a forth temperature probe located on the top edge of the insulated wooden enclosure. The Orgone Field Meter used in this experiment is a Heliognosis LM3D with a 1 square inch brass electrode as the sensing plate located in the center of the galvanized enclosure. The galvanized enclosure is open at the top to allow for cosmic rays and atmospheric conditions to affect the sensors directly. 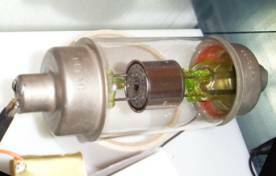 The dual plate vacuum tube is a high vacuum glass capacitor with two cylindrical electrodes separated by a gap of about 1/8". This tube has a capacitance between the plates of 50pF. The capacitance of this tube is monitored using a precision capacitance meter circuit and then amplified to show the variation over time. Finally a Geiger Mueller counter with a 2" diameter pancake Geiger tube with a mica window faces towards zenith and is monitored for nuclear radiation counts per minute, primarily from cosmic rays. Signal conditioning electronics are employed to convert the raw signals into voltages that can be aquired by the Labjack data acquisition system. The Orgone accumulator is monitored to determine if heat accumulates within due to variations in atmospheric conditions. The Orgone field meter and the vacuum tube capacitor are measured to determine if atmospheric conditions influence the ability of the air space and vacuum space to hold charge. These two devices operate somewhat similarly to the electroscope. The Geiger Mueller counter primarily counts the number of incident cosmic rays from space. The atmosphere filters and modifies this radiation depending on its density and cloud cover. The experiment was run for three weeks to debug the equipment and remove artifacts from the measuring methods. It was found that the temperature in the room needed to be regulated within 1 degree Celsius to be sure that ambient temperature was only a minor factor in each measurement. Temperature stabilization was employed using a precision temperature controller connected to a micro-furnace in the room. 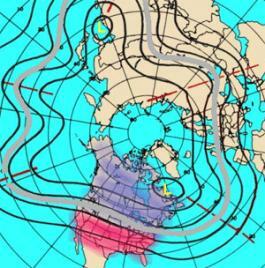 Starting on March 1, 2009, the data was graphed to look for patterns in the diurnal and long-term readings. Below is shown the first eight days of recorded data. The weather on March 1 was sunny with high pressure and very cold at -12 degrees C. The clear blue skies continued until March 5, when a low-pressure front moved in toward evening. The temperature had been generally rising over this period. March 6 was very warm (+16 C), unsettled with high winds and cloudy conditions until afternoon. Late in the afternoon the wind died down and the sky cleared completely and the pressure increased suddenly. The LM3D was operated on the x100 range with an additional 2x of amplification in the signal conditioning for a total of 200x of amplification. The capacitance of the vacuum was amplified 1000x and is shown as a voltage from the signal conditioning electronics. Looking at the graphs, the LM3D and vacuum tube both show a progressive decline through the entire period. The LM3D shows a distinct diurnal peak at 6 am and 3 pm each day. There is a small upward change in both the LM3D and vacuum capacitor on March 6 but much less dramatic than that shown for To-T. To-T is graphed in degrees Celcius vs. time. The To-T also shows a decline over the period finally rising suddenly at 4 pm on March 6 at about the moment that the low-pressure front moved out of the area. By the morning of March 7 a light rain had returned with overcast skies. To-T declined somewhat and leveled off as the unsettled weather continued until the end of this observation period. The atmospheric pressure had two minimums on the morning of March 6 and the evening of March 8. With the exception of the vacuum tube on the 6 (it was already close to a minimum), To-T, LM3D and the vacuum tube all showed minimums corresponding to the pressure minimums. To-T also shows diurnal variations typically peaking at around noon after a broad based rise through the night. Ambient temperature is graphed in degrees Celcius vs. time. Ambient temperature is shown with a typical variation of between 0.4 and 0.8 degrees C.
The cosmic ray background radiation was monitored over this period as is shown in the last graph below. Radiation is graphed as counts per minute vs. time. The average radiation was lower during sunny weather and higher during the cloudy and rainy period. In general, the cosmic ray count was pulsatory with major peaks approximately every 2.4 hours and minor peaks of about 12 minutes. It is interesting to note that the pulsation rate was higher during the cold sunny days at the beginning of the period. The skies were cloudless and no observable atmospheric phenomena could be seen to be responsible for the pulsation of the cosmic ray counts. Large longer pulses dominated during the unsettled and rainy days at the end of the period. It was the pulsatory nature of the cosmic ray counts that led to the possibility of determining the west-east movement of the pulsation discussed later in this report. The count data from the Oakville and Beaches locations were graphed to look for similar patterns and to determine the time delay between the two observation points. 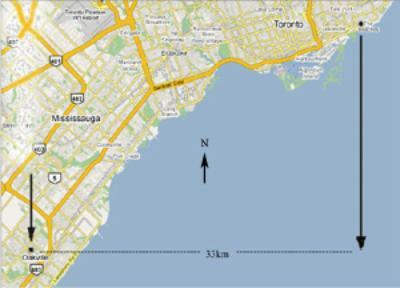 The patterns lined up and indicated that the atmospheric wave pattern took 8 hours to travel from Oakville to the Beaches location. 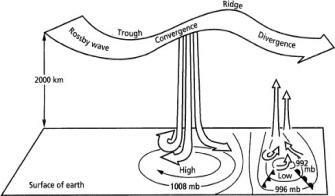 The speed of the wave-front is then 4.1km/hr in the west to east direction. The illustration below shows the graphed data from the two locations with a 7 hour moving average. Short-term peaks with a period of about 5 hours are actually two 2.4 hour peaks averaged together. Even though the ambient room temperature remained constant during the experiment, the Orgone field meter (LM3D) and vacuum capacitor tracked closely with the weather, declining as the weather turned from bright and sunny to unsettled and rainy. To-T appears to follow the same pattern in general but shows a more dramatic rise in the middle of the period when the weather has a momentary return to sun on March 6. 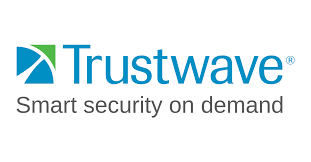 This would indicate that it is a more sensitive detector than either of the former devices. The pressure peaked on March 3 and the morning of March 7, which corresponds to high points for To-T. Two pressure lows occur on the morning of March 6 and the evening of March 8;corroboration with To-T is also present. The ion count data is preliminary and did not consistently correspond to the weather data. The cosmic ray data has revealed the interesting fact that it fluctuates with a period of about 2.4 hours. This period can increase and decrease and may have a relationship to the atmospheric conditions. Over a 5 day period, the cosmic ray pulsation is seen to travel in a west-east direction with an average speed of 4.1 km/hr. This result appears to be significantly smaller than that due to Rossby waves. Even in clear blue cloudless skies, the pulsation continues in a similar fashion as on rainy or overcast days. Therefore it is not due to varying densities of cloud cover. Future research will hopefully provide an answer to the true nature of this atmospheric wave.